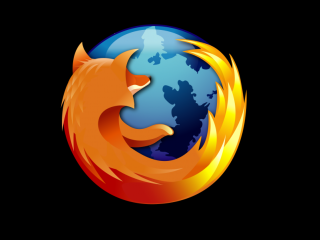 Mozilla has revealed its plans to launch a version of its Firefox browser for the Windows 8 Metro interface. The announcement was made as part of the company's roadmap for 2012 and says an Alpha release will be made in the second half of 2012. The Firefox for Windows 8 Metro browser will be built using the Gecko API and will be reimagined to suit the touch sensitive controls and will also boast full-screen capabilities. Familiar features like the Awesomebar, an app bar and navigation controls will be present, but it appears it will be pared down somewhat compared to recent versions of the desktop browser. A post on the Mozilla roadmap page says: "The feature goal here is a new Gecko based browser built for and integrated with the Metro environment. "Firefox on Metro, like all other Metro apps will be full screen, focused on touch interactions, and connected to the rest of the Metro environment through Windows 8 contracts. "Firefox will have to support three "snap" states -- full screen, 1/6th screen and 5/6th screen depending on how the user "docks" two full screen apps. Our UI will need to adjust to show the most relevant content for each size. "In order to provide users with access to other content, other apps, and to Firefox from other content and apps, we'll need integration with the share contract, the search contract, the settings contract, the app to app picking contract, the print contract, the play to contract, and possibly a couple more. We'll be a source for some, a target for some, and both for some. "We may want to offer a live tile with user-centric data like friends presence or other Firefox Home information updates." Getting in early with a solid Windows 8 Metro app could offer Mozilla a way out of its recent slump, which has seen a rapidly declining share in market share after being overtaken by Google Chrome.